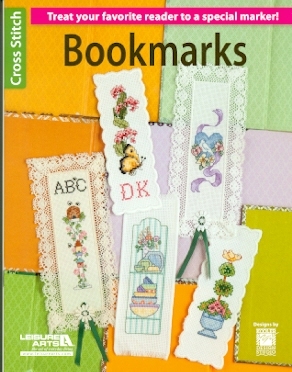 The booklet contains designs for 15 counted cross stitch bookmarks 5 of which are illustrated on the cover. these bookmarks would make the perfect gifts! 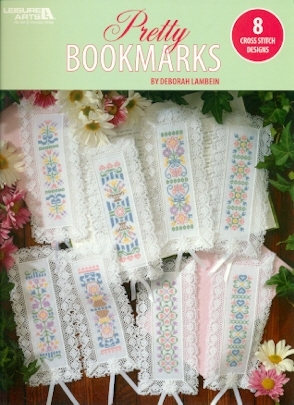 Each of these 8 designs is stitched on a white Stitch-N-Mark ™ bookmark (18 count Aida). Eight different designs, with motifs including flowers and hearts. Choose from 14 simple designs and 2 different alphabets to personalize a bib for your little one. Designs vary from lively fruit and veggies to cute bunnies and bears. Each counted cross stitch chart has both Anchor and DMC color listings and includes dimensions for three sizes of Aida cloth.